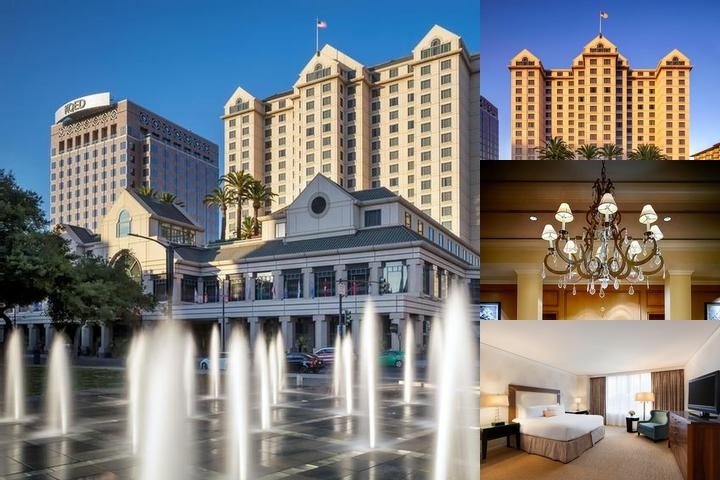 The Fairmont San Jose is a Centrally Located Downtown hotel that is within walking distance to over 150 restaurants and bars, and is also close to numerous other attractions. We are located close to the HP Pavillion, numerous San Jose Ballet, San Jose Opera, and the San Jose Event Center. Meeting and conference rooms are equipped to handle functions from exquisite receptions to multimedia presentations. A distinctive presence in Silicon Valley, The Fairmont San Jose is a testament to extraordinary service and convenient facilities. 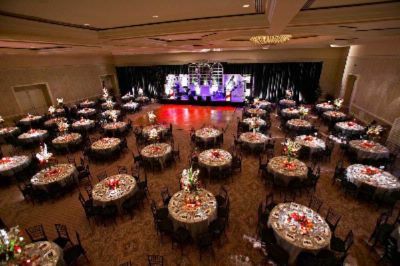 The Fairmont San Jose now has over 65,000 square feet of meeting and banquet space, featuring 3 ballrooms. Each guest room and suite is luxuriously-appointed with every amenity, including the finest bedding and toiletries. Refined elegance and sophistication flow into each of the 728 well appointed deluxe guest rooms and 77 exquisite suites. And when the day is through, guests can relax and recharge at the fourth floor rooftop pool and fully-equipped Health Club.Dining is exceptional at all four restaurants and the hotel lounge. One can enjoy American fair at the Fountain Restaurant, Asian cuisine at the Pagoda Restaurant, Fantastic Steaks at the Grill on the Alley Restaurant and Fresh Seafood at the McCormick & Schmick's Restaurant or join us for Afternoon Tea in the Lobby. The Fairmont Hotels highlights above are subject to change without notice. 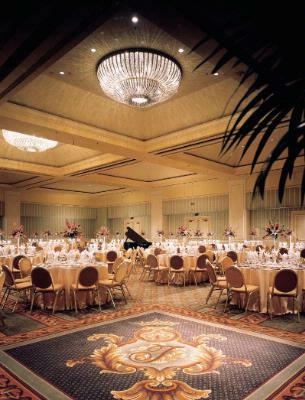 Below are the meeting, banquet, conference and event spaces at The Fairmont San Jose. Feel free to use the The Fairmont San Jose meeting space capacities chart below to help in your event planning. 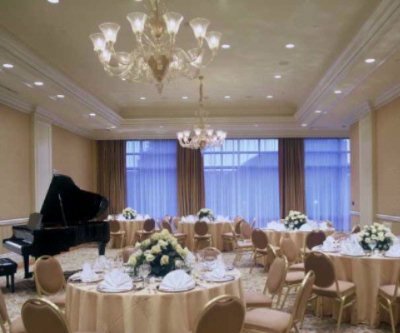 Hotel Planner specializes in San Jose event planning for sleeping rooms and meeting space for corporate events, weddings, parties, conventions, negotiated rates and trade shows. 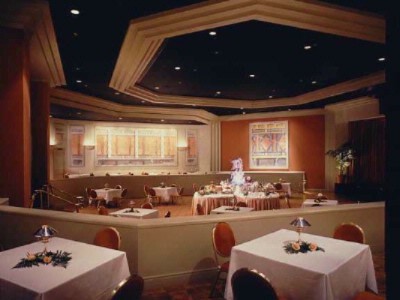 The Imperial Ballroom has recently been beautifully remodeled. 132 x 102 x 20 Ft.
102 x 132 x 20 Ft.
97 x 86 x 20 Ft. This space has an air wall to break it down in 2 equal parts. 48 x 56 x 20 Ft.
48 x 86 x 20 Ft.
49 x 86 x 20 Ft.
49 x 56 x 20 Ft.
Large Breakout space in the Main Building with Natural Lighting, Built-in white board and cork board. 58 x 36 x 12 Ft.
28 x 36 x 12 Ft. Medium Sized Main Building Breakout Space with Natural Lighting, Built-In White Board and Cord Board. Also has additional foyer space to be used for receptions, breaks and buffets. Medium Sized Main Building Breakout Space with Natural Lighting, Built-In White Board and Cork Board. Medium Sized Main Building Breakout Space with Natural Lighting, Builtin-In White Board and Cork Board. 16 x 18 x 12 Ft.
27 x 48 x 12 Ft. Medium Breakout Room in South Tower. Drop-down screen, built in White Board and Cork Board. 26 x 35 x 12 Ft.
32 x 23 x 12 Ft. Medium Breakout in South Tower with Drop-down screen, built-in White Board and Cork Board. 32 x 35 x 12 Ft.
29 x 29 x 12 Ft.
30 x 26 x 12 Ft. Medium Size Breakout in South Tower with natural lighting, built-in white board and cork board, and drop-down screen. 34 x 27 x 12 Ft. This room has a drop screen. 34 x 21 x 12 Ft.
35 x 27 x 12 Ft. Medium Breakout in South Tower with natural lighting, drop-down screen, built-in white board and cork board. Larger breakout room in South Tower with natural lighting, drop-down screen and built in white board and cork board. 31 x 37 x 12 Ft. This room has a drop down screen. 72 x 72 x 14 Ft.
Bi-level room in Main Building on Lobby Level. Built in stage and dance floor and some built-in A/V equipment. 20th Floor Permanent Boardroom with LCD Screen, hidden storage area, kitchenette, and private bathroom. 12 x 15 x 12 Ft.
26 x 26 x 12 Ft.
16 x 28 x 12 Ft.